Implementing a CSR approach remains a dynamic process in a fast-changing Earth. Sustainable Development and CSR are thus fast-moving targets necessitating a process of continual improvement. As such, FEED typically works with active and leading academic centers, researchers and organisations with a track record – aiming to develop best practices, working models and scaleable solutions that can be replicated in other parts of the country. Individuals, companies, organisations and the public at large are encouraged to support any one of these CSR initiatives closest to their respective advocacies. Email FEED to find out how: info@feed.org.ph or call +63 (0)9175524722. Through formal or informal “Public Private Partnerships” (PPP), or other collaborative forms, FEED often acts as an independent bridge between the private sector and communities or practical research agencies, another model by which FEED is able to collaboratively support the design, integration and implementation of companies’ and organizations’ Corporate Social Responsibility (CSR) initiatives into their operations in a sustainable manner – from short/immediate to long/durable interventions, striking the balance between a company’s advocacies and the needs of the communities they operate in. 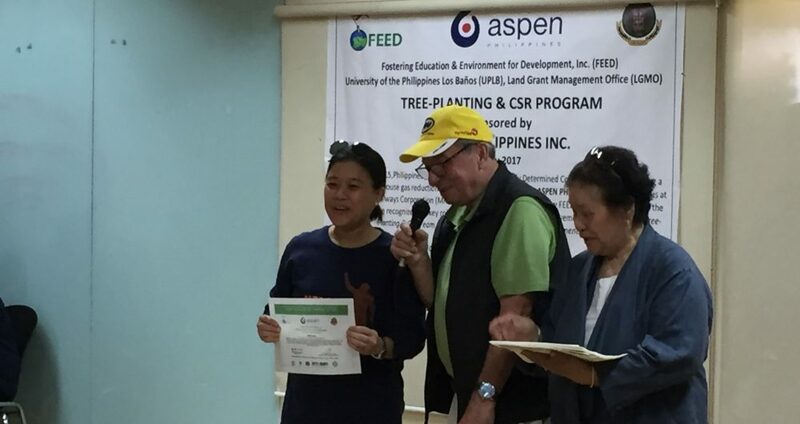 Whilst seeking to partner with local government agencies such as the Departments of Agriculture (DA) and Environment & Natural Resources (DENR)in the communities we work in, FEED aims to keep all sourcing of materials for projects at cost to ensure more participants are able to join and spread the word, helping the country reach its 70% carbon offset by 2030. Working with local government agencies is sometimes necessary, particularly when it comes to the rehabilitation/restoration of large tracks of (government/parastate-owned) lands and identifying and engaging local, often marginalised (including settlement) communities, as well as private lands aiming to be sustainable as the private sector also plays a critical role in sustaining active interventions through their own advocacy programs. Related Article: What is CSR?